I’ve been trying to keep tabs on this blaster in hopes for new information coming out sooner then later. 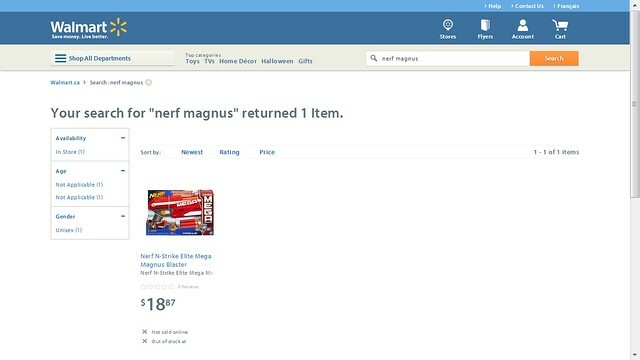 The Amazon.com listing for the Mega Series Magnus has been updated to include a new box art photo (which is pictured above), as well as a product shot of the item. The description is still the same as before, although it’s nice to have more photos of this blaster online. The second added photo of the blaster from the Amazon listing. Thanks to the German site Bankcroft.de, we now have a photo and an extended product description. It’s being sold on the site for 24.99 EUR. Below is the extended production description, roughly translated. It was really only a matter of time until the Mega Series is adapted from the Centurion over a meter long on a slightly more compact format. Even if there is something to the market launch yet, we expect the Magnus not before December 2013 or January 2014, we will present you ever Croft Bank of the most important information for the hand Blaster not so distant future. In contrast to the Centurion Magnus needs no external magazine. The ammunition is placed directly above the blaster. As expected, the Blaster is an integrated magazine, which takes a total of 3 darts along with the positioned over darts. With a handle of the clamping mechanism is retracted so that the trigger all the fire power of the Magnus can be discharged. And we know what that means, since we kept the Centurion for the first time in their hands. According to initial rumors, the maximum range of 85 feet Magnus could be (almost 26 meters), which would slightly lower than the proclaimed for the Centurion 100 feet. On a tactical rail accessory rail extensions Hasbro has not waived at the Magnus, it is located at the bottom of the Blasters. 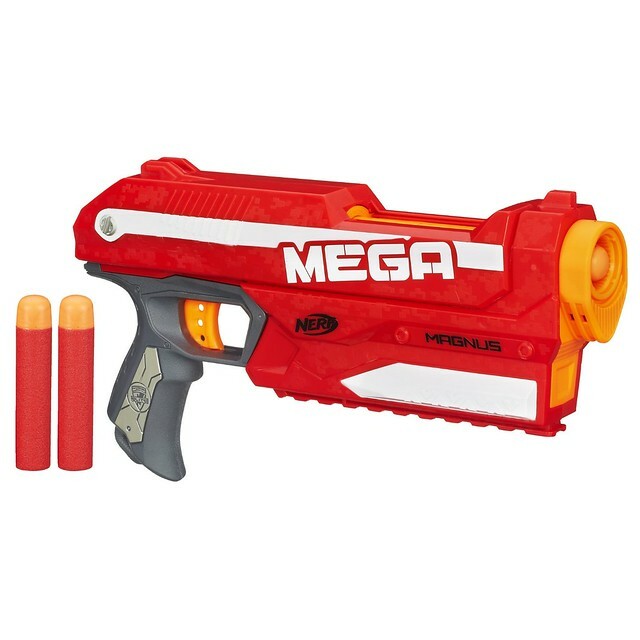 The blaster is held in the familiar colors of the Mega Series (red, orange, gray, white, gray) and offers a simple, yet perfected look. Due to the relative low weight, and the present design of a single-Blasters, the Magnus can easily fire with one hand. Included with the Knifte are in addition to the small blaster from the Mega Series is a collection of 3 Mega Darts. There is more ammunition separately in refill packs. 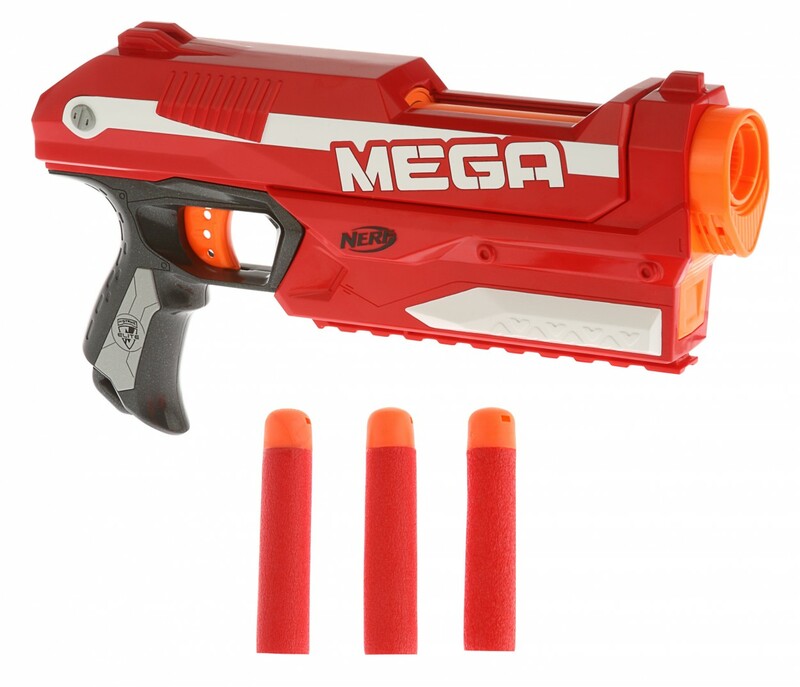 Although the blaster and concept seem cool, the flimsy and non durable Mega Darts are probably going to be a problem until Nerfs get around to fixing those. According the description, the blaster shouldn’t be out until after December 2013 or January 2014. I’ll keep you updated if/when more info comes out on this blaster. About a week ago, a listing for an upcoming Mega series blaster called the Magnus blaster went up. Included in the description was text detailing the blaster, but no photos of it have been uploaded to this day. It is also unknown as to when this item will go up for sale. Production description can be found below. Your battles are about to get a whole lot bigger – Mega bigger. The Magnus blaster has the same high performance as other N-Strike Elite blasters, but it features bigger darts engineered to fire farther than ever. 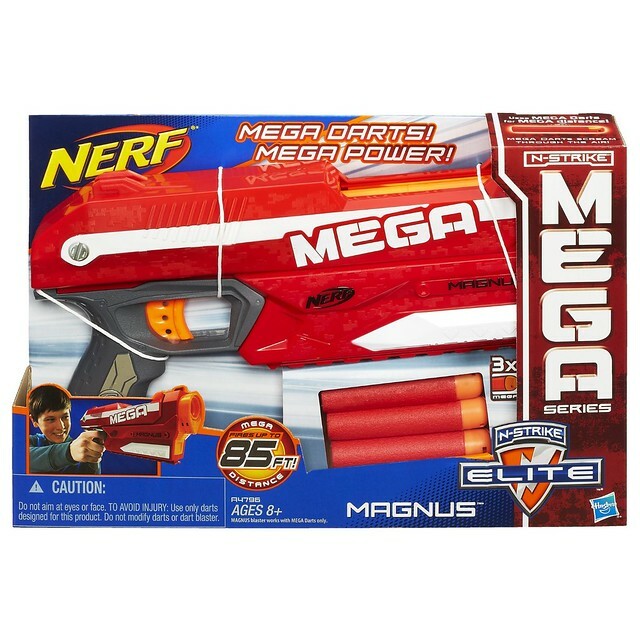 Launch Mega Darts at targets up to 85 feet away and dominate the biggest Nerf battle yet with the Magnus blaster. Its built-in, one-handed clip lets you reload fast to get back in the game and it comes with 3 Mega Whistler Darts that scream as they fly. Hit the battlefield with Mega power with the Magnus blaster. Nerf and all related characters are trademarks of Hasbro. 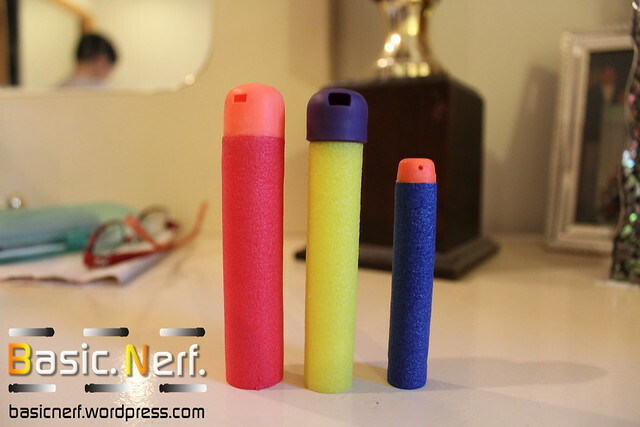 Some people are speculating that Nerf will reuse the old “built in clip” style from the Dart Tag Speedload 6 & Quick 16. I personally wouldn’t mind that, just as long as it performs solidly and jams much less then the Dart Tag blasters I mentioned. Stay tuned to the blog for the latest updates on this upcoming blaster.